The VR12-S winch, new from WARN, offers all the style, performance, and reliability you can handle. 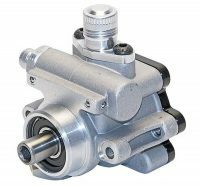 The good-looking convertible control pack allows upright or low-profile mounting, while the waterproof Albright contactor and rugged cone brake provide best-in-class reliability and holding power, respectively. With its 12,000-lb. 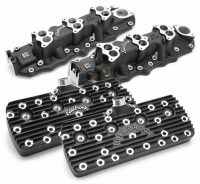 Edelbrock’s iconic “Slingshot” intake manifolds—dual, triple, and even single-quad—are now available with a black-coated finish to match early- or late-model Edelbrock cylinder heads. The Edelbrock script and block letter logo are highlighted for that extra detail. All Edelbrock flathead components are cast and machined in America for the best quality—just like Vic Edelbrock Sr. Performance Corner® is a nationwide marketing program that helps aftermarket retailers and installers drive local traffic and increase sales. Contact us today to sign up or learn how our tools and services can boost your business!